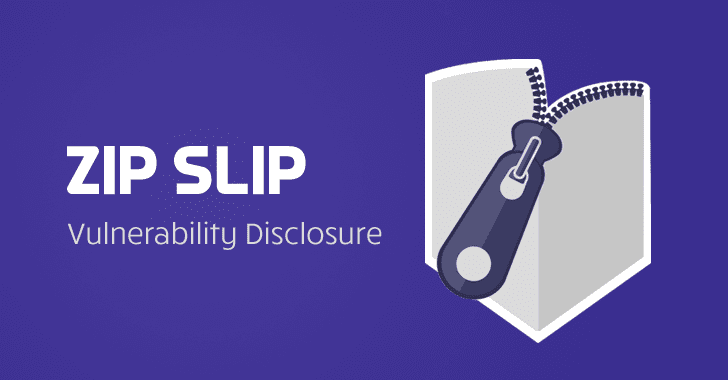 Dubbed "Zip Slip," the issue is an arbitrary file overwrite vulnerability that triggers from a directory traversal attack while extracting files from an archive and affects numerous archive formats, including tar, jar, war, cpio, apk, rar, and 7z. Using this Zip Slip attack an attacker can even overwrite legitimate executable files or configuration files for an application to trick the targeted system or the user into running it, "thus achieving remote command execution on the victim's machine," the company explains. "The vulnerability can also cause damage by overwriting configuration files or other sensitive resources, and can be exploited on both client (user) machines and servers." "The contents of this zip file have to be handcrafted. Archive creation tools don't typically allow users to add files with these paths, despite the zip specification allowing it. However, with the right tools, it’s easy to create files with these paths." Moreover, you can also read Snyk's blog post to learn more about vulnerable codes in different ecosystems through example snippets.